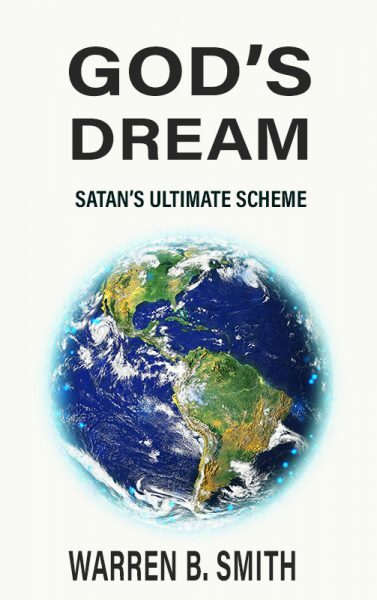 Many years ago our friend and research partner Warren B. Smith alerted us to the phrase “God’s Dream” as it was being used by New Age leaders who were envisioning a utopian new world order on planet earth. These planetary dreamers were issuing a futuristic “dream” narrative for a global reign of peace on earth. 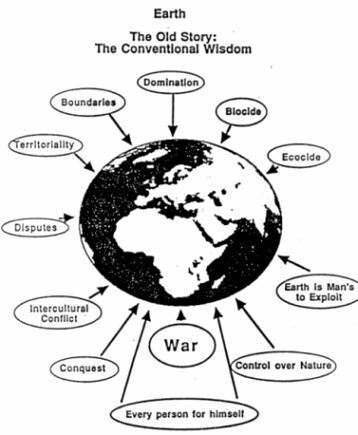 Some taught that by “envisioning” an idyllic future humanity could make it happen – i.e., a mass consciousness-raising. In other words, these two large amorphous spiritual groups—New Agers and evangelicals—who theologically are supposed to be totally contrary to each other, are working on a similar scheme using the exact same motif. Worse, both have a “God’s Dream” narrative that includes a messianic figure or spiritual “presence” ruling and reigning over the planet. Thus it is important to note what these groups don’t say. If one follows their plans to the logical conclusion we discover that their common utopian dream can only be accomplished through totalitarian schemes to gain control over mankind. This idea of creating a "New Story" for the planet is not a new one. McLaren has simply repackaged for a postmodern neoevangelical audience. The "New Story" is credited to Thomas Berry's concept of "Earth Spirituality," which is totally steeped in occult doctrines. A review of Berry's works posted online shows how thoroughly Brian McLaren borrowed from Berry…. 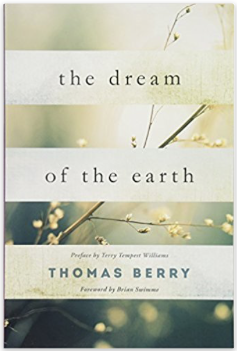 Thomas Berry proposed that a new cosmology story, based on an evolutionary view of human nature and an emergent view of the universe, could create a new vision or "dream" for humanity's collective salvation…. Thomas Berry proposed "fundamentally changing our governance systems," which included reconceiving the "basic institutions of government, religion, education, and business,... from which a genuine Earth Jurisprudence might eventually emerge." We shall think then that this Earth and all her bright companions in the vast space are but drops of joy solidified, and the intense wonder and beauty of God’s dream. So how do we “partner together” to dream a dream with God? Is this even possible? A dream by definition is not reality, nor is it rational. It is unreal and irrational. 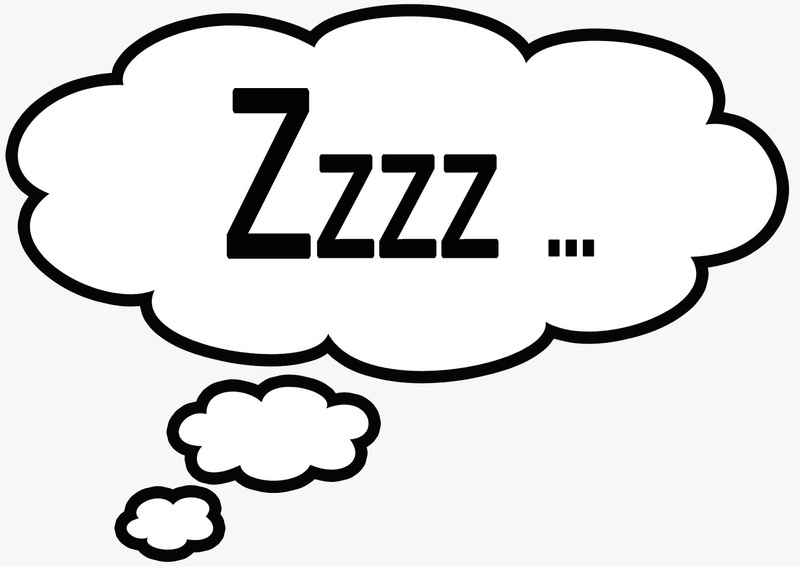 A dream is images that pass through the mind during sleep. Or it can be a vision, reverie, daydream, aspiration, fancy, or imagination while awake. A dream is not sober-minded, but an altered state of mind. the things which God hath prepared for them that love him. yea, the deep things of God. save the spirit of man which is in him? Evangelical proponents of the “God’s Dream” narrative will point to prophetic dreams in Scripture to justify their motif. But these are dreams in the finite mind of men. God’s mind is infinite and our frail human brains are incapable of comprehending it. Scripture includes many warnings about false dreams and visions (see, for example, Deuteronomy 13:1-5). So just because someone “dreams” a thing doesn’t make it real, nor is it necessarily reality, nor does a dream guarantee it will come to pass. Nor can it be said that dreams are of God. Many who have had nightmares are relieved to wake and realize it was “only a dream”! We do not enact God’s supposed “dreams” by making them physical reality. But in the evangelical world during this past generation many church leaders were trained to employ visualization techniques by creating mental visions of an idyllic future. They were taught that they could dream big and make it happen. These “dream” teachings came out of the occult world. This is interconnected with the “prosperity” message that one could become healthy and wealthy simply by naming it and claiming it. Sadly, most of these people who dreamed big ended up with big disappointments. This doesn’t mean that people can’t dream of a better life or hope for good things. Nor does it mean that you can’t set a goal and take steps to achieve it. These are natural, normal human ambitions and, when inspired by obedience to God’s Word and according to God’s will, our dreams can bear fruit. 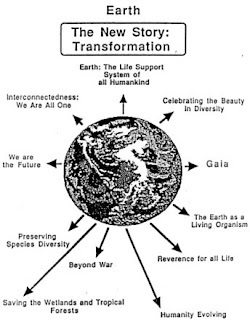 Yet the “God’s Dream” teachers seize on this natural human desire and take it to a mystical level – and a global level. In sum, the god of their imagination is sleeping and dreaming, and he needs your help to awaken and achieve his planetary goals. A scary thought indeed. The true Jesus Christ warned that spiritual deception—not a “God’s Dream” Peace Plan—will precede His return (Matthew 24:3-8). The prophet Daniel stated that Antichrist’s Peace Plan will seem wonderful because it will “destroy wonderfully” (Daniel 8:24)—and “by peace shall destroy many” (Daniel 8:25). The apostle Paul warned about a “peace and safety” that will precede “sudden destruction” (1 Thessalonians 5:3). We are living in treacherous times. The Bible warns us repeatedly not to be deceived. There is nothing in Scripture to even hint at, much less substantiate, the concept of “God’s Dream.” God doesn’t dream in any way, shape, or form. 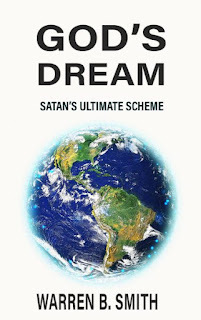 The “old men” prophesied by Joel to “dream dreams” in the last days are not today’s New Age and Christian leaders dreaming “God’s Dream.” Rather, “God’s Dream” is a spiritual device that is in the process of shifting everything toward a New Age/New Spirituality/New World Religion. 4. Smith, God’s Dream: Satan’s Ultimate Scheme, Ibid. 6. Smith, God’s Dream: Satan’s Ultimate Scheme, Ibid. 8. Heartland Apostolic Prayer Network, “Forward,” August 8, 2012, emphasis added. HAPN has espoused strong Dominionist intentions. This message is attributed to Jon & Jolene Hamill, Lamplighter Ministries, “8-8-12 DAVID’S TENT DC PRAYER BEGINS.” This newsletter described a prayer event scheduled for Washington, D.C. A “Third Great Awakening” where “God will tabernacle with us.” See “David’s Tent DC,” http://apprising.org/2012/09/03/davids-tent-dc/. We also did a series of 3 posts on this topic in July and August 2011: “Divorcing Baal,” http://herescope.blogspot.com/2011/07/divorcing-baal.html, “Divorcing Baal for Dominion,” http://herescope.blogspot.com/2011/07/divorcing-baal-for-dominion.html, and “The Baal Covenant” http://herescope.blogspot.com/2011/08/baal-covenant.html. 10. An easy-to read chart of God’s attributes can be found here: https://www.blueletterbible.org/study/misc/ogiwa.cfm. 13. Smith, God’s Dream: Satan’s Ultimate Scheme, Ibid., Italics added. On September 15, 2005 the first Herescope post went up. Steve Muse, who at that time headed Eastern Regional Watch Ministries (ERWM), Sue Conway, my husband Lynn and I, sat around my computer screen in our office as Steve showed us how to set up a blog. Steve was convinced that blogging was a useful new technological way to communicate Gospel truth, and to especially warn about error in real-time. The four of us had just returned from a Discernment Ministries conference in Bowling Green, Ohio, where we had learned about the many new heresies coming into the church. We knew that the errors of our time were serious and growing, and the warnings needed to get out quickly. Steve proceeded to set up the blog and then asked, “What name should we give this blog?” We thought about it for a few minutes, then the logical answer came to my mind – Herescope! Herescope had been the name of a monthly column in a magazine my husband and I published during the mid-1990s called The Christian Conscience. Lynn had coined the term in late 1994 – it literally means “scoping out a heresy.” In our magazine’s monthly Herescope column we had published many articles warning about occult teachings, Promise Keepers, the Toronto “laughing” phenomena, and treacherous New Age teachings. The blog would be a continuation of that magazine column! As we discussed the premise of the blog and how it would operate, we quickly realized that this was an immense task that would require a group effort. That very day we dubbed ourselves the “Discernment Research Group,” an ad hoc group of committed believers who had already been working together for many years researching, writing, speaking and publishing information about biblical discernment. When we set up the Herescope blog we immediately realized it could also serve as an active outreach arm for Discernment Ministries. Lynn and I had served on the board of directors of Discernment Ministries since 2000, and we had already been working very closely with Jewel (van der Merwe) Grewe with conferences and writings since 1995. From its inception the Herescope blog blessed Discernment Ministries with much activity. In its early years I was frequently a guest on radio shows, and as a result our outreach spanned the globe. Those were the heady days as online discernment ministries (a term sometimes used as a reproach against us) were able to get out messages to warn believers about the rapidly emerging deceptions and errors of unbiblical teachings. We warned about popular movements that rocked the evangelical world: Rick Warren’s global Purpose Driven agenda; the leaders and methods trained by Leadership Network who spawned the Emergents and Neo-Calvinists; C. Peter Wagner’s New Apostolic Reformation and its dominion; Chuck Missler and Tom Horn and their Nephilim space aliens; and the false “Christ” voice that was speaking to both New Agers and evangelicals. In much of our writings we delved into the history of these movements so that believers could more fully understand the issues. We sought to be above the fray – to not engage in the “ambulance chasing” of every new bad thing the well-known evangelical leaders were doing, but rather to patiently and from Scripture point out the error and contrast it with the truth. We discovered that our research format was feeding factual information and biblical truth to church people, ministers, and missionaries on the field. We received e-mails from all over the world thanking us for explaining the details about why some new teaching was not biblical. Many of our posts were republished on other blogs and even in printed publications. It was a particular blessing to realize our writings were reaching the lost with the Gospel of Jesus Christ. Pastor Larry DeBruyn passed away over the Christmas holidays, and because in recent years he had been such a major part of our ministry, we decided to step aside and take a break from our regular Herescope postings. It was time for all of us to pause, reassess, regroup, and pray for the Lord’s direction. During this time Discernment Ministries made the decision to return to its original calling and take a step away from the research. After much prayer, Lynn and I realized that we were also to go in a new direction, and so we submitted our resignations from the Discernment Ministries board of directors effective June 30th. There will be many changes coming in the future as the Lord directs us. One thing readers will be blessed to know – Lord willing, we will be publishing more of Pastor Larry DeBruyn’s works, including the books and articles he had committed to us to finish before his death. Herescope readers will be kept apprised of these developments. We are thankful for all of our many friends, research partners, pastors and prayer partners who have together worked with us over these past thirteen years to publish the Herescope blog. There have been 947 Herescope posts put up since 2005. It is with exceeding gratefulness that we can give God all of the glory for His faithful Word which sustained us. These 13 years were not without stress, but they have been filled with joy. Some of us continually battled health issues. We also lost key members of our Discernment Research Group who passed on to glory – including Pastor Ken Silva and Pastor Larry DeBruyn. Several of our dear prayer warriors also moved on to heaven where they will receive their reward. Happy New Year from the New Age "Christ" - AGAIN!